Learn how to grow rosemary in your vegetable or container garden! Get the best tips for growing rosemary from seeds, cuttings or transplants when planting an herb garden. Also, use our easy tips for building a circular kitchen garden that includes herbs. In ancient times, this herb was scattered about and hung up as a Romany charm to ward off evil. 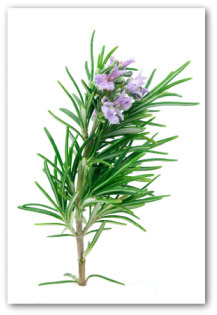 Now, rosemary is used as a popular culinary flavoring added to meat dishes, baked goods, and Mediterranean cuisine. Rosemary is a very easy plant to grow as part of a vegetable, herb, or kitchen garden. The herb is a densely growing, woody evergreen perennial that can grow up to 10 feet high. The plant's bushy stems have gray bark and the downy young shoots are covered with aromatic leaves; dark and shiny on top, and grayish colored underneath. Small blue flowers appear in summer. The herb grows wild on rocky slopes and cliffs in warm regions such as the Mediterranean. Sow seeds in trays in the springtime. 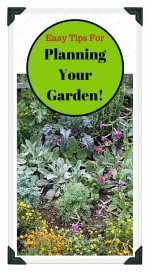 Take cuttings in the summertime in a cold frame or layer plants during the fall. Small transplants are also usually available from your local garden center for planting in your garden at the proper time. Growing rosemary prefers well-drained, alkaline soil. Plant in a sunny location that is protected from high winds. Choose a low, flexible branch. Remove some of the leaves where it touches the soil. Cut a shallow notch to induce rooting. Scoop out a shallow depression for the prepared section of branch. Hold it in place using a wire loop of clothespin. Cover the wounded section with good topsoil. In dry weather, water the layer but not the parent plant to speed rooting. Some varieties are slightly tender and may require protection in the wintertime. 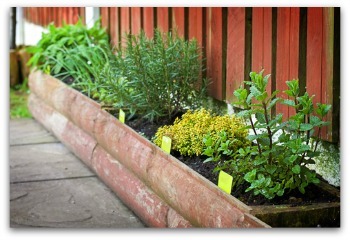 Raised beds are convenient sites for growing rosemary. A raised bed offers good drainage and ease of harvesting. 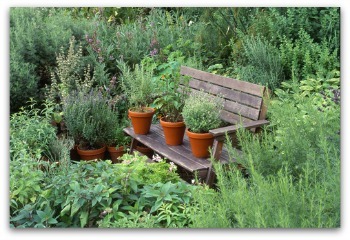 A decorative herb garden can give pleasure during every season. Year-round interest should be considered when planning a decorative herb garden. Seasoning herbs such as rosemary are easy to grow and have an excellent flavor when fresh. 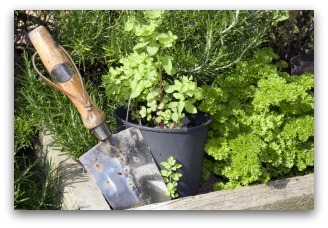 Try experimenting with different culinary combinations when planning a new herb bed. 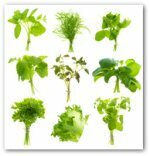 The most important consideration is planting herbs that you plan on using in your kitchen. Mark off the intended area, using a marker and string to make a perfect circle. Remove the turf inside the circle and a bit of the topsoil. Break up the subsoil so that it is loosened. Position the edging materials. House bricks are ideal, arranged at a slopping angle and tapped firmly in place. Depending on your climate, you may want to use edging tiles that are frost-resistant. Quarter the circle with two courses of bricks to create four separate herb beds. Refill the quadrants with the broken up excavated topsoil nearly to the top of the brick dividers. Plant herbs that have been grown in pots. Water the plants before transplanting, and allow adequate space for growth. 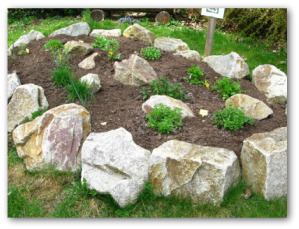 Mulch the herb wheel planter soil with gravel or clippings to retain moisture and deter weeds. Until the reign of King George IV, English monarchs appointed ‘strewing ladies' to precede them in procession and cover the area with dried aromatic herbs such as rosemary, thyme, and rue to ward off diseases. 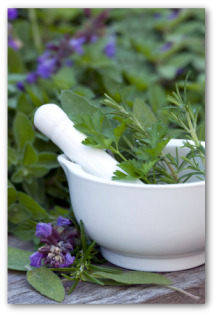 Dried herbs and essential oils were used to guard against infections and insects. Research has shown that there is some substance to these medieval ideas. There is a long list of medical uses for the leaves in the treatment of such disorders as depression, migraines, indigestion, and liver disorders. The leaves are also made into an ointment to treat neuralgia, eczema, and minor wounds. Additionally, the leaves are manufactured in hair rinses and mouthwashes. The more you clip a woody perennial such as growing rosemary, the denser the foliage becomes. This is the principal behind a topiary garden. Basically a form of pruning, trimming off the end of a stem encourages the development of two or more side shoots. Growing rosemary is one of the many herbs ideal for potted topiary. Rosemary is also attractive to honey bees, which are beneficial to help pollinate your vegetable crops.